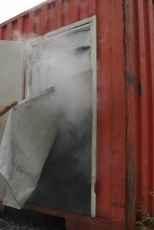 The portable smoke stopper was tested in several fire tests. 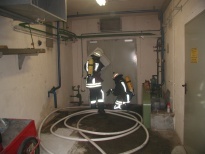 Some results of these tests are shown below. 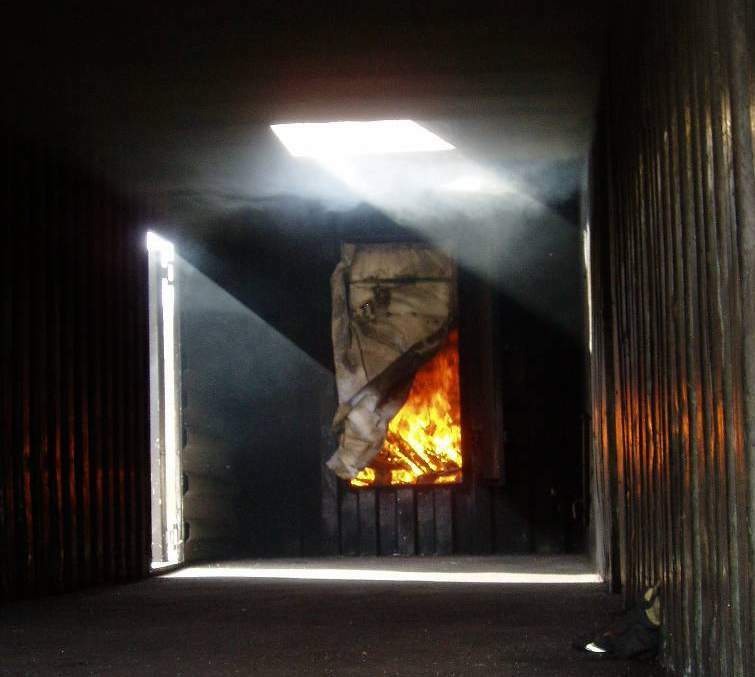 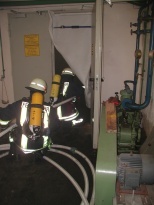 The portable smoke stopper was tested directly in a wood fire at a training facility. 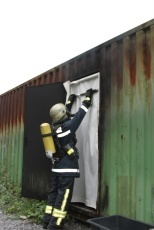 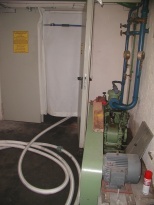 In this fire test the installation of the portable smoke stopper was tesed in a double door. 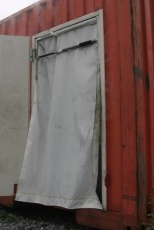 To make it even more worse, the door opened opposite to the direction of the attack crew. 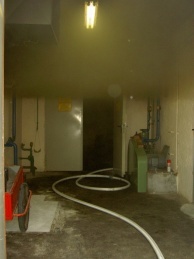 The smoke was produced with a wood fire. 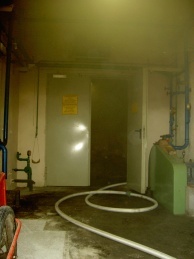 During the first attack, only a litte smoke passed the door. 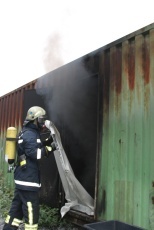 To check the portable smoke stopper, it was removed on the following picture.